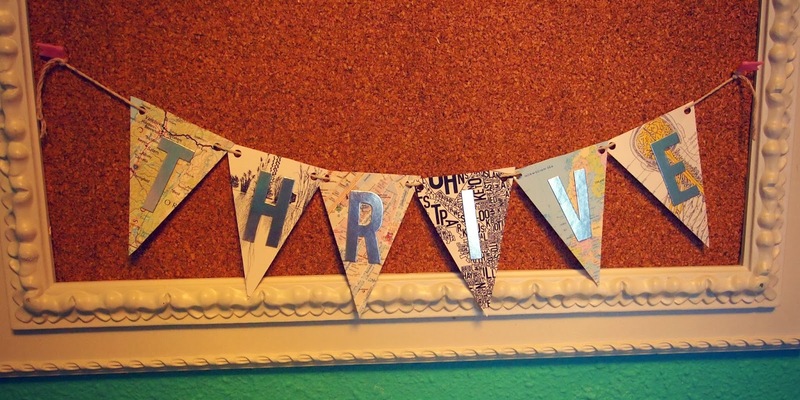 New Wave Domesticity: Thriving in 2014 : Recovering from Neurosurgery and Getting Creative. Thriving in 2014 : Recovering from Neurosurgery and Getting Creative. It's been a really difficult few months, but I really want to focus my intention on not just recovering, but really thriving and growing in 2014. Even though I am a bit behind the ball, I am really excited to start participating in the new Creative Collective that the lovely Melyssa is running. The first project is to make a project of a word that represents your intentions for 2014. Well, this year has started off with a bang for me and it has made me do a lot of thinking about my aspirations for a better year to come. Last week, I had a neurosurgery to repair an encephalocele (basically a brain hernia into my ear canal). I was hospitalized for a few days and it has been a really difficult process towards healing, but I feel optimistic. I want to focus my year on that optimism and my intentions to heal and grow in new ways this year. There were a lot of risks and fears before surgery, but I am feeling really fortunate that not only did the surgery go well, but I also have had an amazing out pour of support from the people in my life before and afterwards. Sometimes the hardest things we experience are the things that teach us the most about gratitude and how lucky we are. Had I not had this dark, stressful time, I may not have taken a moment to really step back and see that I am incredibly lucky with the friendships and relationships in my life and those who really step up and are deeply impacted by what I'm experiencing. My husband has also been unbelievably supportive and patient with me through every step of this process. The end result of this surgery will be that I will find new ways to thrive and learn to be happy and healthy. So, where do I go from here? I want to learn to focus on growing into the strong person that I know I am. 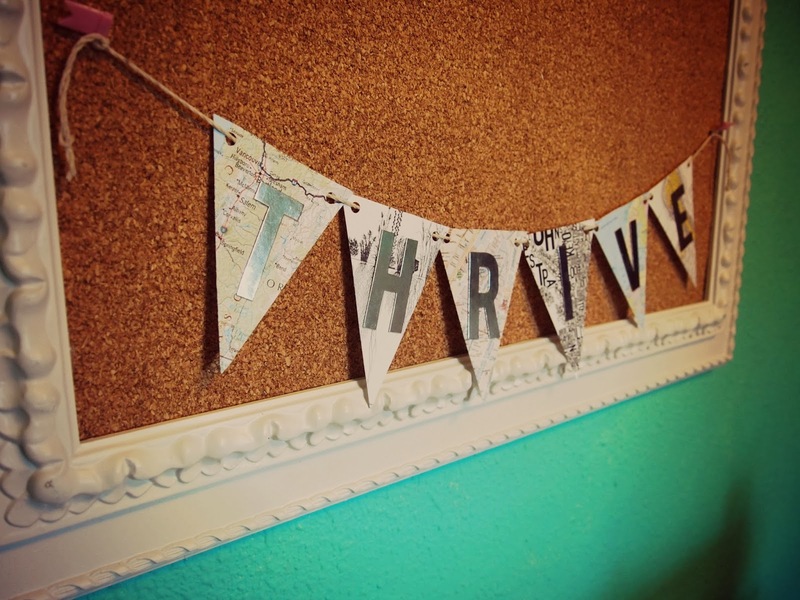 I don't want to just live my life, I want to thrive. I want to grow and nurture those important relationships in my life. I also want to nurture my self and focus on self-care and know that it is not selfishness to be strong and take stock of my personal needs. This year, I intent to focus on that growth - on traveling, experiencing, loving, laying roots, caring, and not apologizing. I bought this frame a few years ago and I have been meaning to make this bulletin board for my craft room, so I am so excited to do that as well as having a lovely place to display this banner! The banner is simple, but made from all sorts of maps reprsenting my hopes for the new year : maps of Portland, Europe, Paris subways, root systems, & a map of the nervous system. I am glad I'll have this up right in front of my sewing desk to remind me always. I look forward to the 22 other challenges this year! What word represents your hopes for 2014? I liked that you used different backgrounds for each of the letters. Looking forward to seeing your other projects..I just love Melyssa's idea...it has been so much fun so far.